The EVGA flagship Z390 motherboard, the EVGA Z390 DARK, sets a new CINEBENCH 8-core CPU world record achieving a score of 3142 cb. LUUMI, a Finnish overclocker, paired the EVGA Z390 DARK motherboard with the 9th generation Intel Core i9-9900K processor. 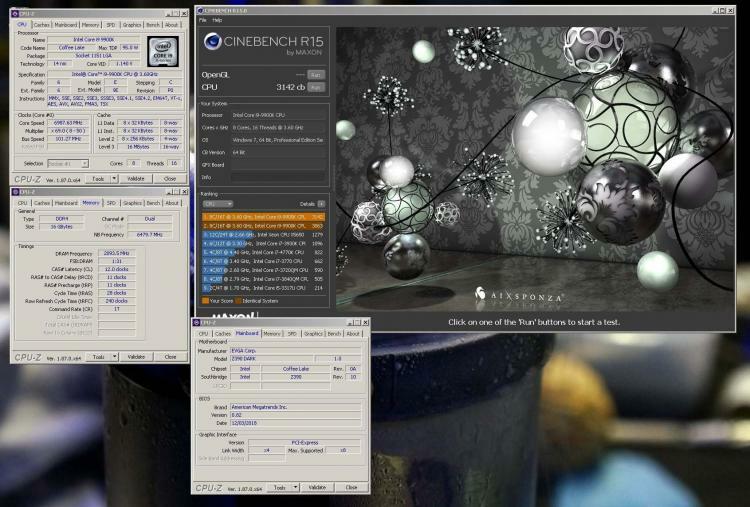 To achieve the world record-breaking CINEBENCH score, LUUMI used Liquid Nitrogen Cooling and the Kingpin cooling KPx High-Performance Thermal Compound to achieve 6987MHz, nearly 7GHz. Other world records broken by the same setup includes GPUPI for CPU - 1B and HWBOT x265 Benchmark - 4K. The EVGA Z390 DARK motherboard is designed for ultra-enthusiasts looking to pull every last ounce of performance from the new 9th Gen Intel 8-Core CPUs. The Z390 DARK features a 17 Phase VRM design, along with two right-angle 8pin connectors to provide maximum power for overclocking. Two SMT DIMMs enable high-frequency and low latency RAM overclocking. The 10-layer PCB is studded with multiple sensors, which can be displayed on the dual-LED displays. The Z390 DARK contains Creative Audio with EVGA NU Audio, two Intel Gigabit NICs, mini-Display Port, onboard power/reset/CMOS buttons, PCIe disable switches, triple BIOS support, and 8 smart fan headers. The EVGA Z390 DARK also features EVGA’s newest UEFI/BIOS GUI focusing on overclocking and functionality with brand-new features such as OC Robot and EVGA-only In-BIOS Stress Testing. 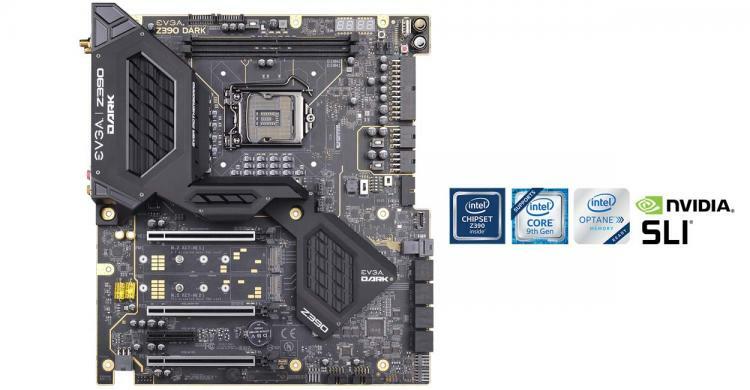 Learn more about the EVGA Z390 DARK motherboard here.